To be able to use email accounts on your mobile devices, you will first have to create them. 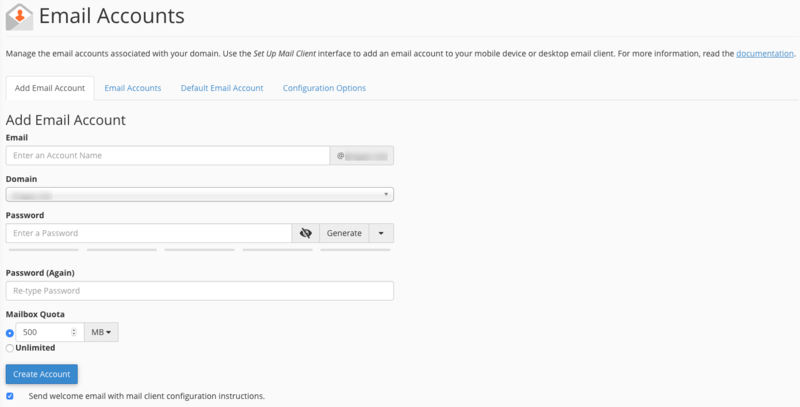 Just log into your cPanel and access the Email Accounts feature under the Email section. Once there, you will need to input the email address you would like to set up with your domain name, as well as choose a password. For example, you could create a webmaster@yourdomain.com email address and a password you can remember.